Even though motorcycles only account for 1% of the amount of driving done, they account for 15% of the injuries on the road. Because motorcycle riders are so vulnerable on the road, it’s important that any injuries sustained are immediately treated. Motorcycle accident injuries can appear minor when in actuality, their effects have yet to be seen. If you’ve been in a motorcycle accident, you should see a doctor immediately. However, choosing a doctor can be stressful, especially if you were struck by another driver and are dealing with a potential lawsuit. One of the best ways to ensure things go smoothly is to see a personal injury doctor. Personal injury doctors will make sure that your documentation and charts are prepared before a personal injury claim. Call a personal injury doctor if you’ve experienced any of the following motorcycle accident injuries. While you may have been able to get up and walk around after your accident, that doesn’t mean you didn’t suffer severe injuries. Much like we’ve learned about the long-term effects of sustained injuries by football players, it can take years for signs of your injury to show up. Traumatic brain injuries and concussions don’t always appear the day of a crash. Sudden loss of consciousness, dizziness or mental confusion could show up later. If you have severe headaches after your injury, even if you were wearing a helmet, you should contact a personal injury doctor. Head injuries can be the most life-changing of all motorcycle accident injuries. Your personality can be changed in an instant, in ways you might not recognize for years. Brain injuries heal much differently than injuries to other parts of the body. Make sure you get the proper scans to look for irregularities in your brain function. A bone fracture is another injury that might not be apparent immediately following your motorcycle accident. They can be characterized by swelling, pain, tenderness, or the ability to hold up weight. As adrenaline fills your body after an accident, you’ll find that you might be surprisingly mobile and nimble in the moments following your crash. After that shock subsides, pain and discomfort begin to appear. Pay attention to how your body feels following your accident. If you haven’t had an x-ray but feel some discomfort, be careful not to put pressure on the parts that feel uncomfortable. You could turn a fracture into something much worse. See a personal injury doctor to get everything checked out. Back pain affects 80% of the population at some point in their life. If you work a manual labor job and feel serious back pain a few weeks or a month following a motorcycle accident, you might not connect the two. It can seem incidental or connected to another aspect of your life. 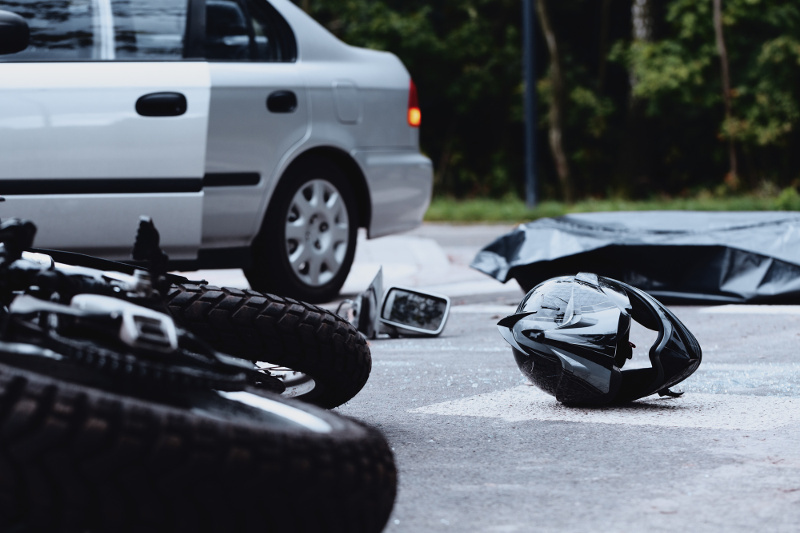 A motorcycle accident can trigger or exacerbate existing issues. You could end up with a herniated disc or acute sciatica following your crash. Pay attention to the way your back feels and be careful not to put pressure on it. Take it easy on your back following a crash and see a doctor as soon as possible. If you feel new aches or a limited range of motion, seek medical attention before it gets worse. Your spinal cord connects to most of the body’s nervous system and is part of a sensitive infrastructure. Any damage to your spine could lead to paralysis or permanent mobility issues. If you experience muscle spasms, numbness, or any kind of loss of movement, seek the help of a personal injury doctor immediately. Your spinal issue might be minor but could become worse without treatment. As motor vehicle accidents are the leading cause of spinal cord injuries, you should take care to pay attention to your body and get the opinion of a specialist. You can have a mild or a more severe version. Either way, the skin is deeply damaged and you could experience some scarring. If you experience first-degree road rash, you could be fine with antiseptic, cleaning your burn, and applying ointment. You can treat it like any other burn, household or otherwise. If you’ve gotten third-degree road rash, you’re going to need an operation. You might have to get a skin graft or reconstructive surgery. Mending the wound won’t be simple but it is entirely possible you could get back to normal. In most cases, ointment and cleaning the wounds are adequate enough for them to heal properly. One of the sleeping giants following motorcycle accident injuries is internal bleeding. If in the course of the crash, a vein or an artery gets damaged, it could rupture internally. You might not notice this for hours or even a day, as internal bleeding is hard to identify. Look for bruising or purple skin around where the injury is located. If you feel extremely lightheaded or absent-minded following your accident, you might have internal bleeding. Abdominal pain and swelling are two other symptoms of an internal bleeding issue. It might take a scan or an ultrasound to find out what your issue is, but if you suspect you have internal bleeding, seek medical attention immediately. No matter what your injury is, you’re entitled to the best medical treatment given by someone you trust. If you’re not sure what your injury is or you need some guidance on your next steps, a personal injury doctor will help you. 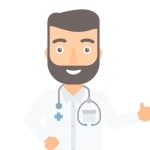 If you’re ready to see a doctor about your recent accident, contact us for more information on how to connect with one.